The Legends Golf & Country Resort (LGCR) was incorporated in Malaysia under the Companies Act, 1965 on 6 November 1992 as a private limited company under the name of Life Leisure Sdn Bhd. It was acquired by Tropik Sentosa to undertake the development of the golf resort project. It was converted into a public limited company on 24 April 1993 and assumed its present name on 24 May 1994. The LGCR commenced the operation of the Club when construction of the first 9-holes of the first golf course was completed and was opened for play in April 1997. 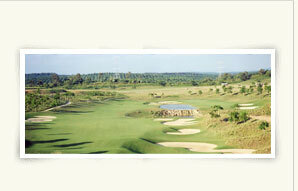 The full 18-hole Jack Nicklaus course was opened to members on 1 July 1997. The Arnold Palmer Palm Course (9-holes) was open for play on 1 April 2009. The Soft Opening Ceremony on 19 April 2009 was officiated by YB Dato’ Haji Abdul Latiff Bin Yusof, State Secretary of Johor and witnessed by more than 200 distinguished guests.